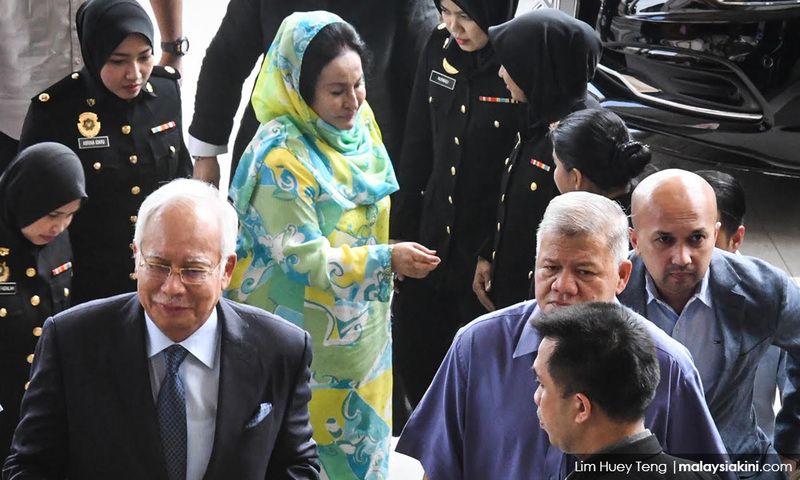 The Kuala Lumpur Sessions Court will witness former premier Najib Abdul Razak's wife Rosmah Mansor and former federal territories minister Tengku Adnan Tengku Mansor being charged this afternoon. Rosmah and Tengku Adnan, who is also known as Ku Nan, will be charged for graft before Sessions judge Azman Ahmad. Meanwhile, Rosmah's aide Rizal Mansor will also be charged at a separate court before judge Azural Alwi whereas developer Tan Eng Boon will be facing charges before judge Rozina Ayob. Tengku Adnan will be represented by lawyers Tan Hock Chuan and SS Ruban. Rosmah will be represented by K Kumaraendran and Geethan Ram Vincent. Malaysiakini reports from the Kuala Lumpur court complex live. 3.40pm - Over at another court, businessperson Tan Eng Boon is charged with abetting Tengku Adnan in committing graft. 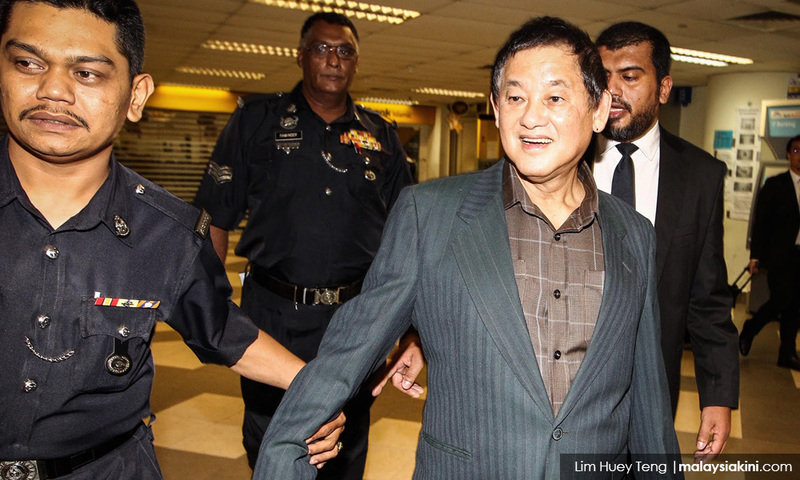 Tan, 70, is accused of handing an RM1 million cheque on Dec 27, 2013 to Tengku Adnan. An interpreter reads the charge in Mandarin, following which Tan claims trial. 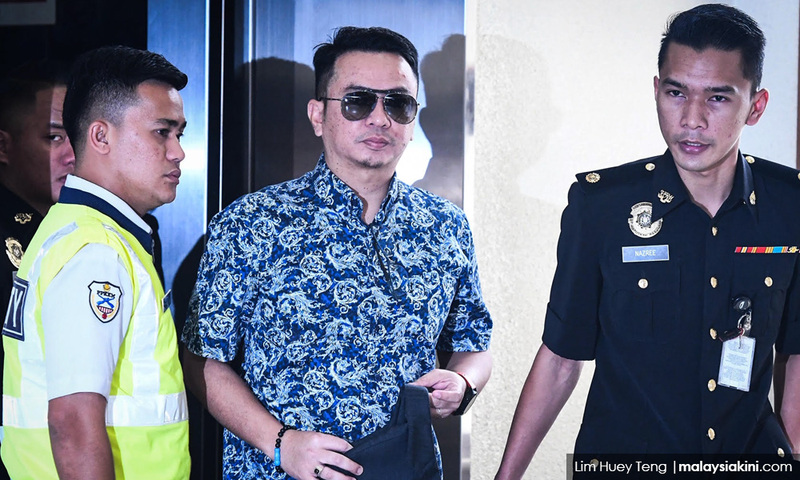 A lengthy argument took place during the bail process, with prosecutors demanding that the court sets bail at RM3 million on grounds that he is a flight risk because he goes to Singapore regularly for business. Tan's lawyer Faisal Moideen argues that the amount sought by the prosecution was punitive in nature because the subject matter involves RM1 million and the accused is cooperative with the authorities. Faisal also points out that his client appeared at the dock today without being arrested and that his client did not abscond from another trial in Johor Bharu, where he handed over RM700,000 in bail money. DPP Ahmad Akram Gharib argues that this case is different. "Now, he is facing (a maximum) 20 years jail sentence. For a 70-year-old, who is listening to a charge that can send him to jail for the rest of his life, it is a different situation," says Ahmad. 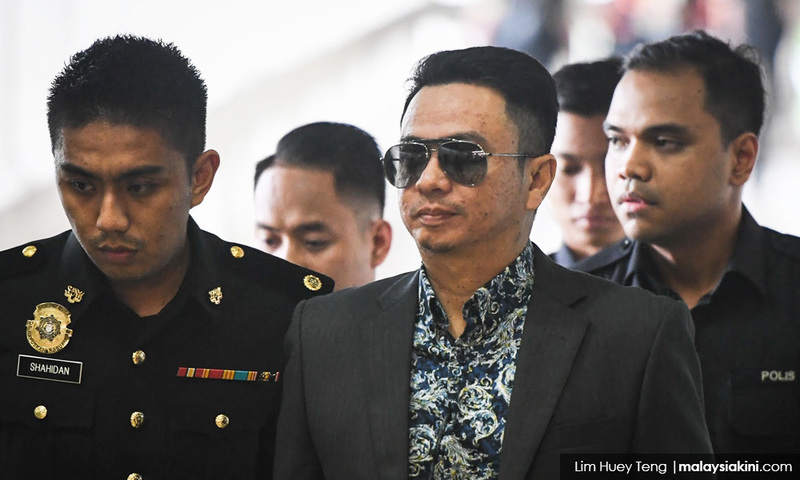 Eventually, Judge Azura Alwi sets bail at RM700,000 and demands that Tan reports to the nearest MACC's to his residence every month and provide his travel itinerary for all international travels, except for Singapore, one week before departure. 3.10pm: Judge Rozina Ayob sets bail at RM1 million for Rizal, which is to be paid in two instalments. The former aide to Rosmah is also instructed to surrender his passports. DPP Kamal Bahrain Omar tells the court that the prosecution will apply to have Rizal's case jointly heard with Rosmah's. This will be heard during pre-trial proceedings on Nov 29. 3.05pm: Tengku Adnan's lawyer Tan Hock Chuan agrees to the RM1 million bail suggested by the prosecution. Judge Azman fixes the bail at RM1 million with two sureties and orders the former minister to surrender his international and diplomatic passports. He fixes Dec 12 for the mention of the case. 2.57pm: Four charges were read against Rizal Mansor. 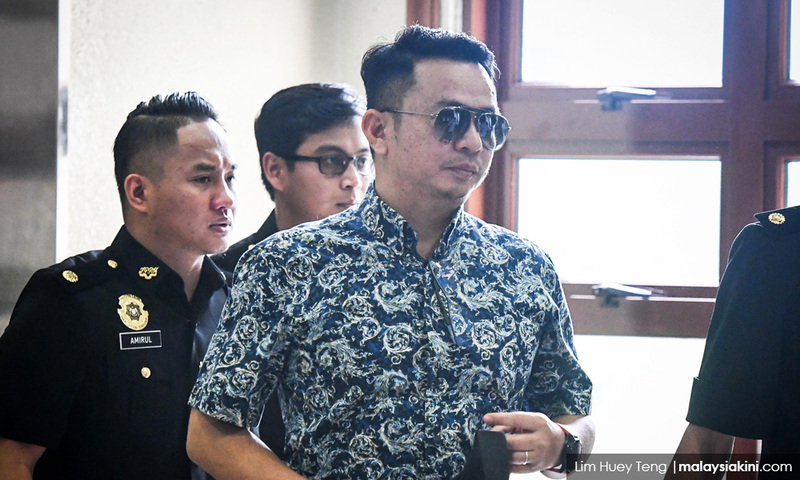 The prosecution is accusing Rizal of soliciting or receiving bribes from Saidi Abang Samsudin, the managing director of Jepak Holdings Sdn Bhd on four occasions. 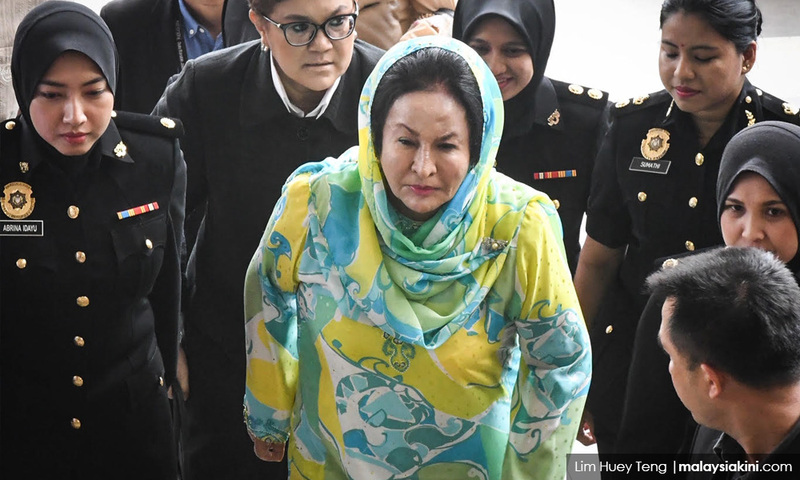 According to the first charge, Rizal solicited RM187.5 million for Rosmah from Saidi as an inducement for her assistance in winning a government contract. The second charge accuses Rizal of soliciting RM25 million for himself. Both offences allegedly happened between March and April 2016. The third charge accuses Rizal of receiving RM5 million in gratification meant for Rosmah on Dec 20, 2016 as a reward for assisting Jepak Holdings win a government contract. The final charge accuses Rizal of receiving RM500,000 in gratification for himself on Dec 23, 2016. All four charge sheets relate to the Education Ministry's Projek Bersepadu Sistem Solar Photovoltaic (PV) Hibrid dan Penyelenggaraan dan Operasi Genset/Diesel Bagi 369 Sekolah Luar Bandar Sarawak, valued at RM1,250,000,000, which was awarded to Jepak Holdings without an open tender process. If convicted under Section 16(a)(A) of the MACC Act 2009, Rizal can be jailed up to 20 years and fined not less than five times the value of the gratification for each offence. Rizal claims trial to all four charges. 2.55pm: An alternative first charge is read against Tengku Adnan regarding the RM1 million. He claims trial to the alternative charge as well - which now describes Tan Eng Boon as a director of Nucleus Properties. 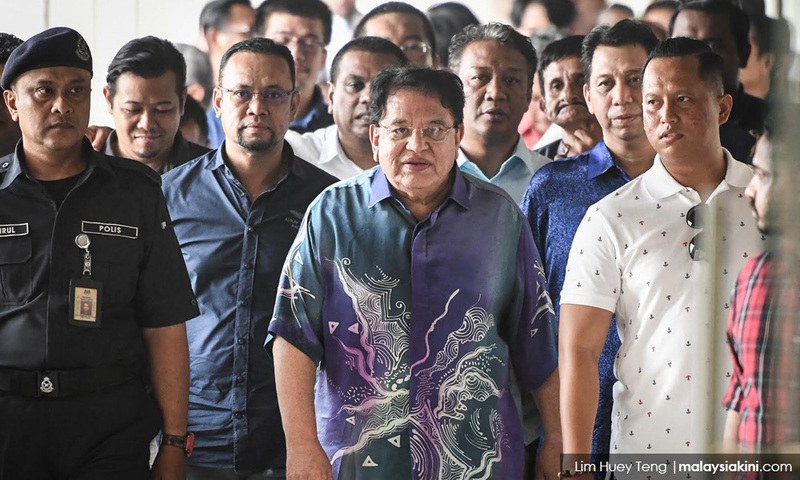 In the second charge, Tengku Adnan is accused of accepting, in his capacity as federal territories minister, an RM2 million cheque from Chai Kin Kong - founder of Aset Kayamas Sdn Bhd. This is with the alleged knowledge that Aset Kayamas, Sinerjuta Sdn Bhd, Fiber Vista Sdn Bhd, Era Ecoland Sdn Bhd, Garuda Searah Sdn Bhd, and Ujana Mutiara Sdn Bhd have a working relationship with the ministry and are working on several projects. This is also an offence under Section 16(b)(A) of the Malaysian Anti-Corruption Commission Act 2009. The charges are over the sale of Kuala Lumpur land. 2.50pm: Tengku Adnan is called to the dock. The first charge against the former minister is as follows: On Dec 27, 2013 at the Putra World Trade Centre, he is accused as then federal territories minister of acquiring an RM1 million cheque from businessperson Tan Eng Boon. This is with the alleged knowledge that Nucleus Properties Sdn Bhd - now known as Paragon City Development - has a close official relationship with the ministry, to develop a lot in Jalan Semarak, Kuala Lumpur. This is an offence under Section 165 of the Penal Code, which penalises public servants obtaining a valuable thing from a person concerned in any proceeding or business transacted by the public servant. 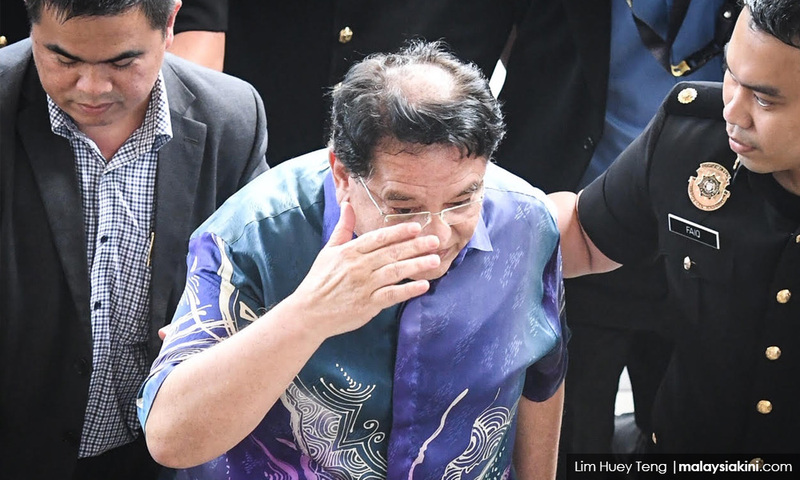 Tengku Adnan pleads not guilty. 2.40pm: The prosecution asks for bail to be set at RM1 million and Rosmah's counsel Geethan Ram agrees, but asks that it be paid in a staggered manner. The judge then sets bail at RM1million with one local surety. DPP Umar Saifuddin Jaafar objects to staggered payment and asks the court to instruct Rosmah to settle the bail amount in one payment. The judge rules that RM500,000 be paid today, and the balance within seven days. He also fixes Dec 10 for mention of the case. 2.37pm: In the first charge, Rosmah is accused of soliciting RM187.5 million between March and April 2016. The amount is 15 percent of a contract from Saidi Abang Samsudin, the managing director of Jepak Holdings Sdn Bhd. It was allegedly meant to help the company secure a direct tender from the Education Ministry with regard to a solar panel project for 369 rural schools in Sarawak worth RM1.25 billion. In the second charge, Rosmah is accused of accepting RM1.5 million from Saidi on Sept 7, 2017, to help Jepak Holdings secure the solar panel project. Both charges are offences under paragraph 16(a)(A) of the MACC Act and punishable under section 24(1) of the same Act. 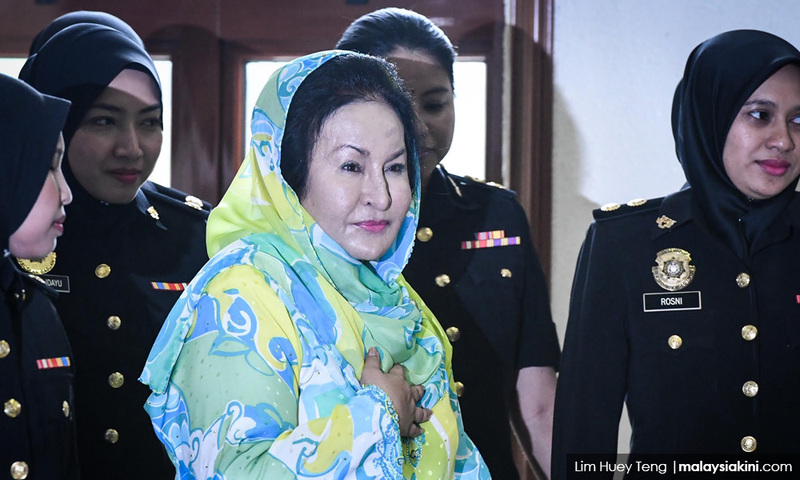 2.35pm: Rosmah enters the dock with Sessions Court judge Azman Ahmad presiding. DPP Umar Saifuddin Jaafar introduces the parties. 2.30pm: Najib and Rosmah's son Norashman is also in court and is seated in the second row of the public gallery. 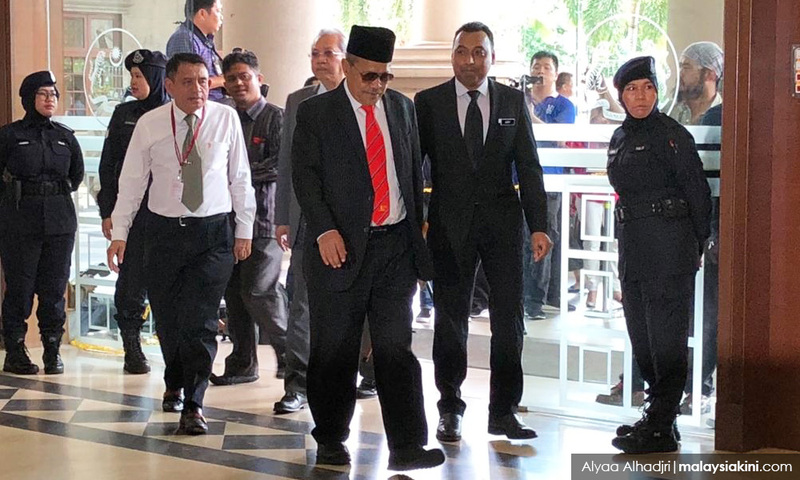 2.15pm: Umno secretary-general Annuar Musa, former minister Shahidan Kassim, Umno lawmakers Reezal Merican and Hamzah Zainuddin are also in court to lend their support. On Monday, Shahidan, who is the Umno Arau MP, had claimed trial to a charge of molesting a 15-year-old girl. 2.11pm: Soon after Najib and Rosmah arrived, Rizal turns up in court with a black Batik shirt and sporting sunglasses. 2.10pm: The prosecution team, led by Gopal Sri Ram, with regard to Tengku Adnan's case is in court. 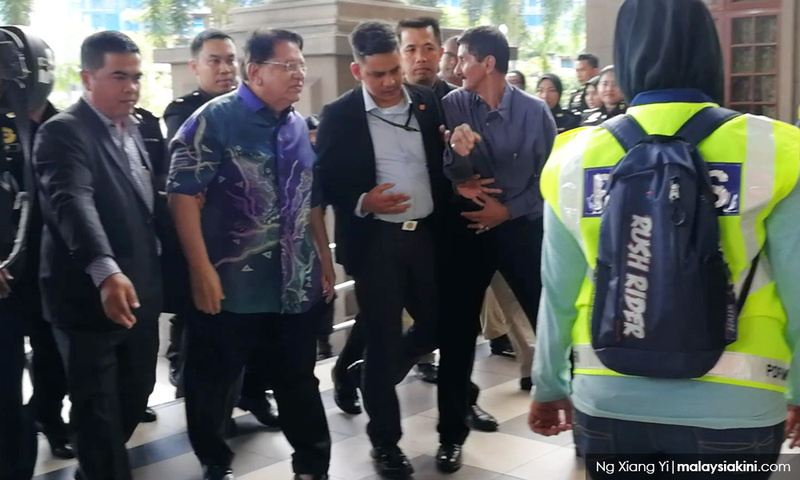 Escorted by MACC officers, Tengku Adnan is led into court. Tengku Adnan's wife and other family members are also present. His supporters are given seats in the second row of the public gallery. 2.05pm: Accompanied by her husband, Rosmah arrives dressed in a blue and chartreuse baju kurung. Najib smiles at the media personnel as the couple make their way into court. 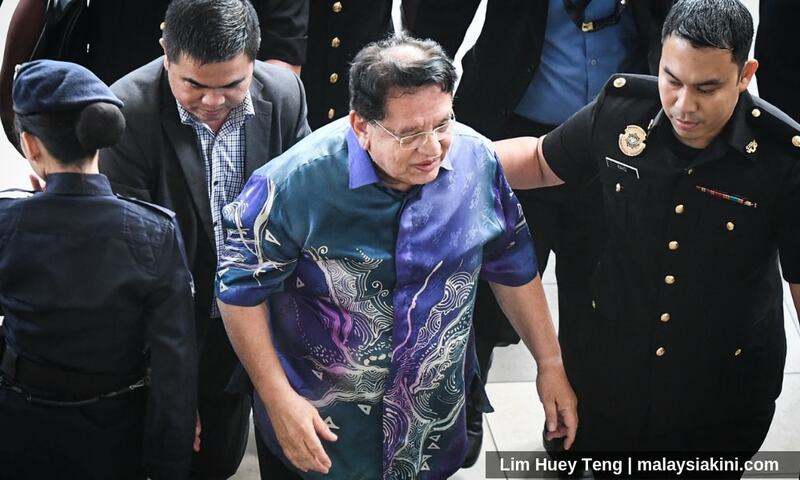 1.55pm: Tengku Adnan, who is the former Umno secretary-general, arrives clad in a blue batik shirt.